Managing and Tracking Affiliate links are very important for every affiliate Bloggers. As your link grows, you need an efficient tool to manage all your affiliate links. In this post, I am going to review ThirstyAffiliates Pro, a tool to manage and track all your affiliate links. Get Thirstyaffiliates Pro Black Friday Deal - 30% Off? One of the advantages of the digital revolution is better performance and speed of the internet. If your site is not loading better than your competitor, you are not in the game. In this post, I am going to talk about WPEngine page performance tool. This tool is very useful to find the performance of your page, how fast it is, detail insight like how quickly your page renders or how is your cache. You will get a detail report about how much time it is taking for a user to open your page and also recommendation and suggestion about improving the performance of your page. We know that WPEngine is a hosted service provider custom build for WordPress apps and services. If you are interested in reading detail review of WPEgine, read this post. Why Speed or Performance matters? In this competitive world, every second matters. 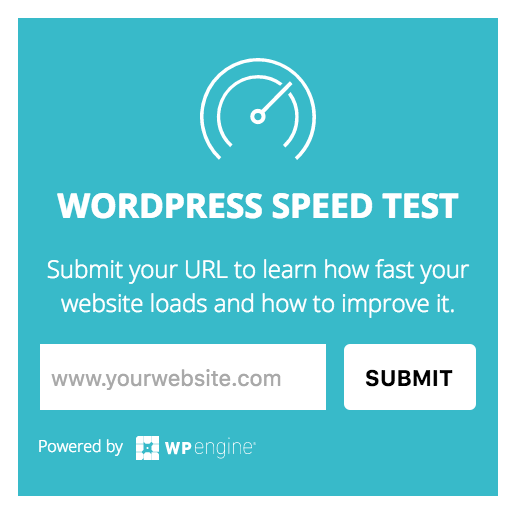 If you are really serious about your business, you should not take chance on your speed or performance of your site. For example, if you own an e-commerce business; even a slowness of few seconds will result in customer leaving your site or abandon the cart. Speed saves time for a customer, which will result in more sale and trust to your site. Speed is never am extra features, it is a must to win in the current competitive world. Your customer’s time is precious and you should make every attempt to decrease it as much as you can. How WpEngine Page performance tool can help you? WPEngine helps you to speed up your site or blog which result in better customer experience, credibility, and better SEO ranking. WPEngine provides you insight view and report of the issue which is slowing your website. A website owner can then acts on those issues and make it faster. You can enter any URL in page performance tool. This tool will run a series of test and provides you features like page load time, the size of the website, cache etc. You will also get a visual representation of how the page looks to the user and also the loading time as the user see it. After the test, reports also tell us you about how to improve your site. The recommendation example includes – use gzip compression, remove blocking js, create browser cache, or use SSL. Once you recommend the make those changes, it will increase your page load, a better customer experience, higher visitor retention, more sales, and positive brand image. Affiliate link is a link or URL given by a merchant to a publisher or blogger which they can use to refer any particular customer to their product. Once you refer any customer, a merchant can track your using your unique affiliate links and reward you commission. So as you can see affiliate links are very important for affiliate bloggers and this is the place where your earn maximum money. So it is very important to manage these links. I did some research and then I found the perfect plugin to manage all my affiliate links by Thirstyaffiliate. I am going to review the plugin and present you first-hand review. By default, all the links in Thirstyaffiliate are no follow. No manual work. I was using a normal WordPress plugin to cloak my affiliate link. It was just doing cloaking and nothing else. I was not able to get a report of any kind. Also once my affiliate linked crossed 500, it was almost impossible to manage and track links. I had to literally spend 10 minutes to find a link. Also, I had multiple links for one product to track it for different post and sidebar. This all makes it impossible to know where my affiliate link was. I quickly realized affiliate link is giving me maximum return and hence I need a better tool to manage it. Thirstyaffiliates plugin has all the solution for my problems. I started using it and now it is very easy to manage my affiliate links. My favorite feature was able to automatically link product with an affiliate link. So even for my past content, affiliate link was inserted into all product. For example, if I mention Bluehost anywhere in the blog (any post), the affiliate link will automatically be inserted everywhere. This will make sure I maximize the profit from the links. The other important feature which I loved from Thirstyaffiliates is automatic 404 or broken link. When you have thousands of affiliate link, it is not possible to track individual link which is broken. Thirstyaffiliates pro gives you feature to notify in case of any link is broken. It is a great feature to make sure you do not miss any commission. Another great feature which was not present in earlier affiliate link plugin is categorization. I promote a different product like Hosting, WordPress Themes, Plugin and many more. I do not want to mix everything and keep a categorization of products, it is possible with Thirstyaffiliates pro. I can easily search for any product and look for a detailed report on a particular category. One more interesting feature is the way we can add an affiliate link to a product, it is as easy as adding a link in WordPress. I simply love it. Thirstyaffiliates core version is always free. Thirstyaffiliates pro version has advanced version and is a paid version, you can buy it at $59/year for a single site license. Please see below for price. Thirstyaffiliates pro is a must for every serious blogger. Affiliate income is very important for every blogger and you have to make sure you manage it well. Thirstyaffiliate cloak and track all your affiliate link and make sure you maximize your affiliate commission. Its feature makes it a must WordPress plugin for every blogger. Please do not forget to share your thoughts on how you manage your affiliate links. I would love to hear comments from you. Please do not forget to share the article with your friends.